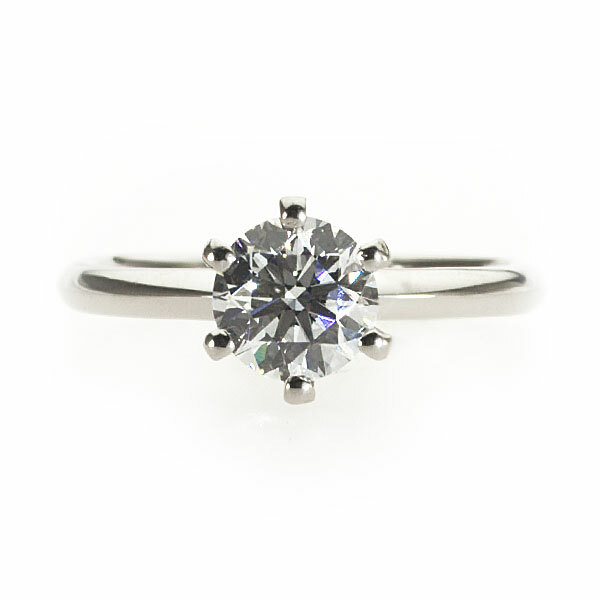 This classical diamond ring boasts a round brilliant diamond. The gem is cradled by six elegant domed claws melting into a simple timeless setting continuing into a rounded band. The diamond sits slightly proud on the finger allowing for your wedding ring to hug closely to the band of this exquisite engagement ring. Like all of my rings, this can be made for you in any diamond size, any finger size and any metal.